Yes, I was one of those homeschooling parents. We were a middle-class family with bills that are always coming in. We were financially fine; however, if I didn’t work – we would not make ends meet. If I was to homeschool my daughter, I had to earn a minimum amount of money a month plus whatever money I needed to homeschool her. And yes, I did this. And yes, in today’s world of the internet it is even easier. Yes, it is POSSIBLE to both work and homeschool. First, it was decided by accident, when our now, 22-year-old, was 4.5. years old, that we would homeschool her. Ms. S didn’t “academically” fit into the box that public schools wanted. I had been home with her for her first five years and, by mutual agreement, it was time for me to go back to my public-school classroom and Ms. S was going to start school. Within a few hours of her “kindergarten screening day”, I knew that public school was not going to be a good match. Honestly, I should have known earlier as all the signs were there; however, I hate labels, and I didn’t want to admit out loud that she was academically gifted, and likely profoundly gifted. Ms. S was going to get bored very quickly and it was highly unlikely that an inner-city public school (where we were living at the time) was going to be able to meet her needs when they were dealing with students not having food on their tables at home. Gifted education was not on their priority. Anyway, I quit my teaching job and together, as a family, we figured out what needed to be financially done for me to stay at home one more year – and that was my goal. We figured that we would find Ms. S a good placement for 1st grade…. but that never happened and that is another story. During the homeschooling years, I wore many hats to earn what I needed to stay at home. Sometimes, I had to miss out on sporting events. Sometimes, I had to work at night instead of eating dinner with my daughter and husband. Sometimes, I had to work on the weekend. But, I knew it was for the best. In today’s online world, there are so many additional options that did not exist 18 years ago and each of these are to your benefit. I have seen and heard of families that have taken “in” another family’s children and homeschooled them side-by-side their families. This can be tricky, and everything needs to be arranged financially prior to this. Field Trips costs? Class costs? Hours? Responsibilities? However, I have seen friends of mine do this and it has worked. They earned enough money to cover their financial responsibilities while having “friends for their children” right there. If you can take this on and make it work out – this is a great way to homeschool and earn money as you are doing it! This is one of the avenues I pursued. For me, it was a no brainer. I have a degree as a Consulting Teacher of Reading and Writing as well as an Elementary Teacher. My passion is teaching writing. And yes, even today, I do private tutoring about five hours a week. I keep saying I will tutor until my private students disappear; however, thus far, this hasn’t happened. Depending on where you live and what you tutor, private tutors can earn $30/hour to $150/hour. High School math and science tutors are the highest paid tutors. If that is your specialty, go for it. But, beware, it might take a little while to build up your name and reputation; however, once you do – this is a solid income! Over the last three years, there have been a slew of online companies such as VIPKIDS, Teach Away, DaDa…. have appeared with the goal of teaching Chinese students English at a very young age. These companies get you the clients, provide the curriculum and you show up and follow it. It is that easy! All you need to do is google, go on LinkedIn or Facebook to see the newest companies. Typically, you can earn up to $20 per hour and typically the hours are either early in the morning, so this doesn’t affect your homeschooling day. I have heard that these kids are not only precious but beyond motivated. They love their American Teachers. There are hundreds of opportunities for you to work “off hours” online from home. You can be a virtual assistant, travel agent, medical transcriptionist, translator, data entry, web developer, freelance writer and so much more! Take the skills you have and the passion you possess and take a look at what is out there. Quite honestly, in today’s world, there are so many options out there – it can be overwhelming. With all this said, most importantly, please remember the reason you are at home – to educate your child. Be sure to set alarms as well as set up boundaries to when you work and when you don’t work from home. Your kids are only home for a very short period in their life and they need YOU! Do whatever it takes to keep you home, if that is your goal, and worry about other things later. Eva Goldstein-Meola is not only co-founder of Open Tent Academy, but an instructor as well as a former homeschooling mother. She has lived in New Jersey, Florida, Western Massachusetts, Northern Virginia and now resides just outside of Jerusalem. 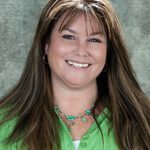 Eva holds a Master’s Degree as a Consulting Teacher of Reading and Writing, IEW certification and a Bachelor’s Degree as an Elementary Teacher. She has also been involved in education since 1986 as a Private Tutor, Teacher, Reading Specialist, Homeschooling Mother, Homeschooling Teacher and Business Owner of an Online Education Consortium. We are NOT here to Socialize! The Importance of Reading Out Loud – to ALL Ages!